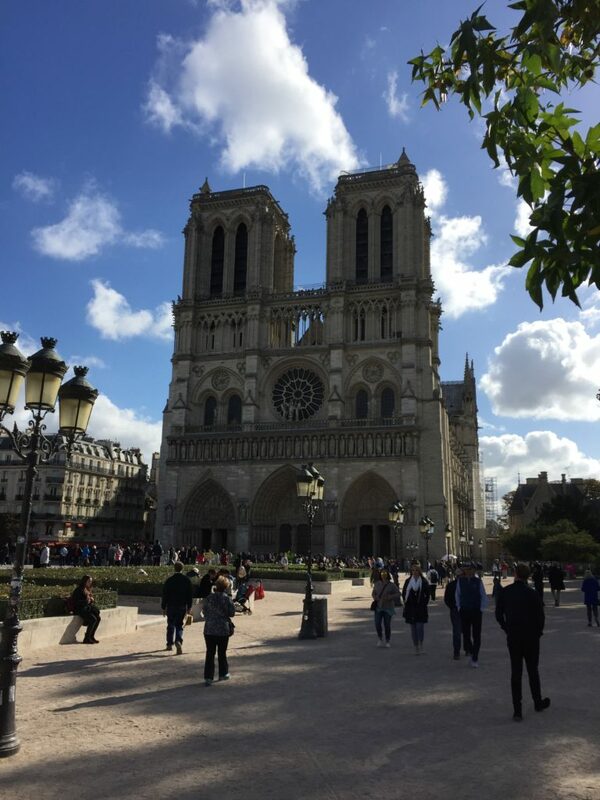 I have been fortunate enough to have visited Paris so many times. My first trip was in September 1976, the most recent this past September. 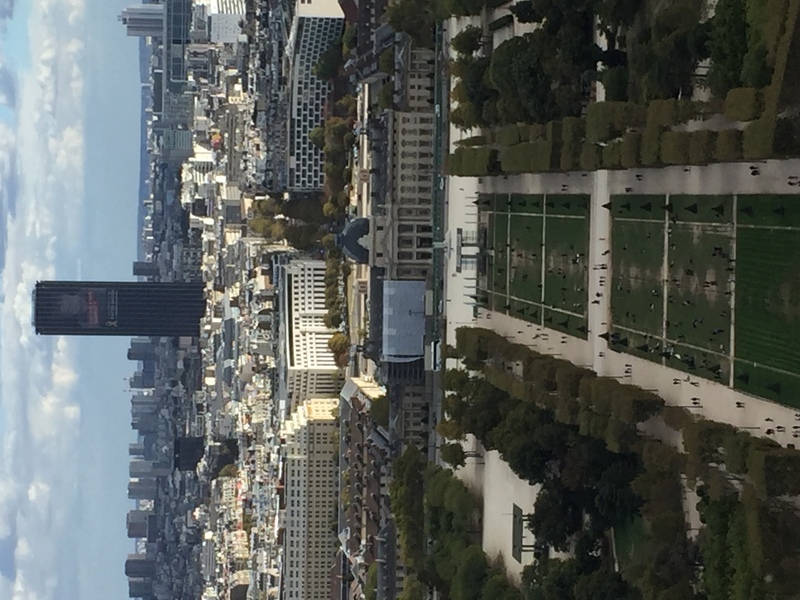 The Eurostar train makes the journey from London even easier these days if you are inclined to spend a day or so seeing the sights of the French capital – such as the Eiffel Tower, perhaps. (It’s also shown on the home page.) Built by Gustave Eiffel as the entrance to the 1889 World’s Fair, it is frequently the most-visited paid tourist attraction in the world. 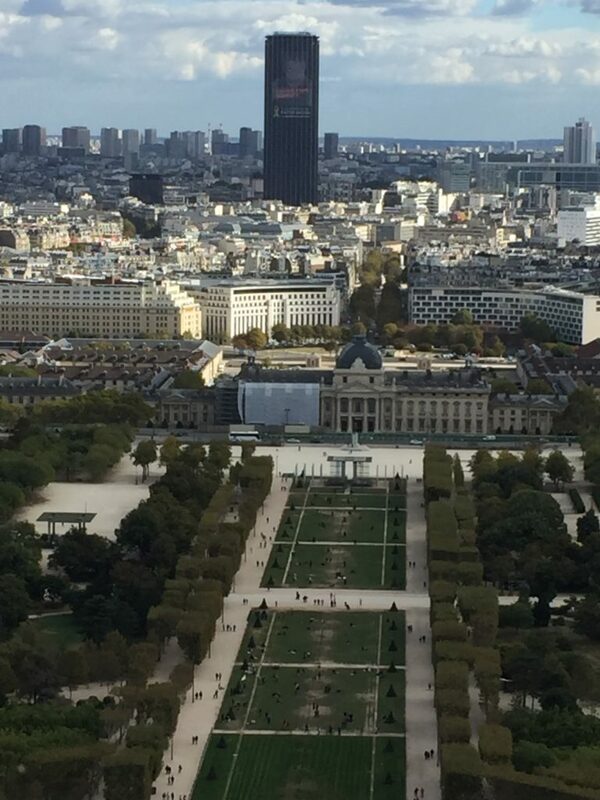 It is just over 1,000 feet high, so not only does it offer stupendous views, you get to see it from a great many places in Paris as well. I think a small pleasure of visiting somewhere foreign is to read a book about the place you’re in while you’re there, whether that be fiction or not. In my case this time it was fiction, Paris Echo by Sebastian Faulks. 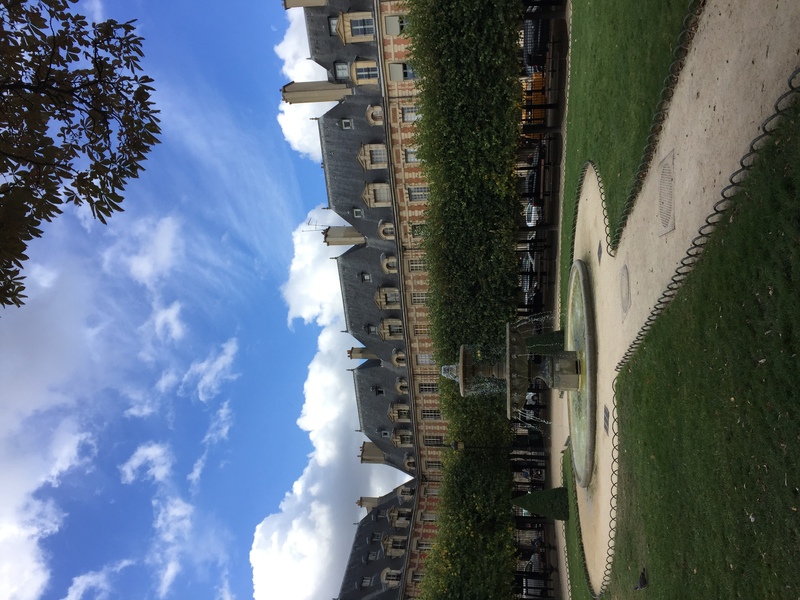 One of the locations I enjoyed that in was at a lovely cafe in the square you see here, the Place des Vosges. 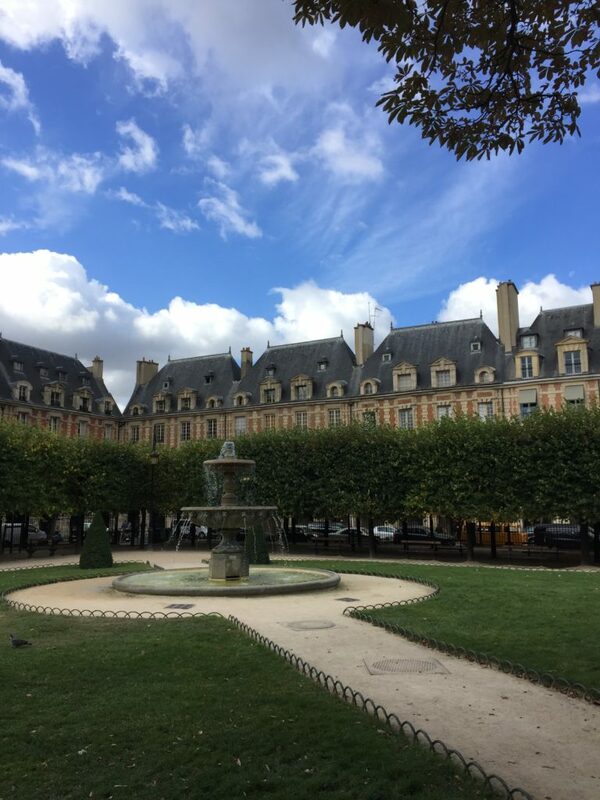 It lies between the 3rd and 4th arrondissements (if arrondissements are your thing) and it was an extremely expensive and fashionable address in which to live in centuries past. I didn’t pop into any estate agents but I’m pretty sure that nothing would come cheap there today either. 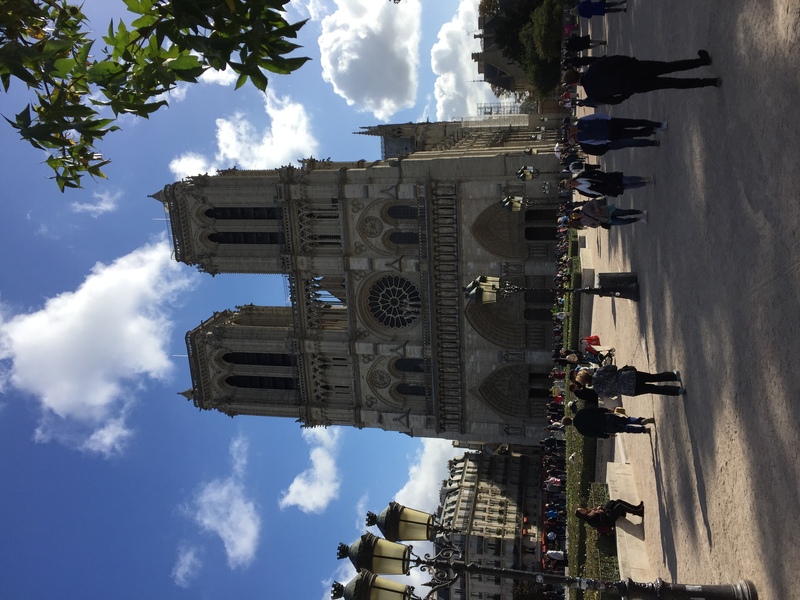 The foundation stone for the erection of the cathedral at Notre Dame was laid in 1163. The project took almost 200 years to complete. Inside it is quite magnificent but it is probably its facade for which it is most renowned, notably the grandeur of its twin towers. In 1831, Victor Hugo published his novel The Hunchback of Notre Dame. (This was over 30 years before he would write Les Misérables.) Set in the 15th century, its eponymous unlikely hero was Quasimodo, who flitted about the bells in the towers in his role as campanologist. He’s a fictional creation, I know, but evidently one with a head for heights. 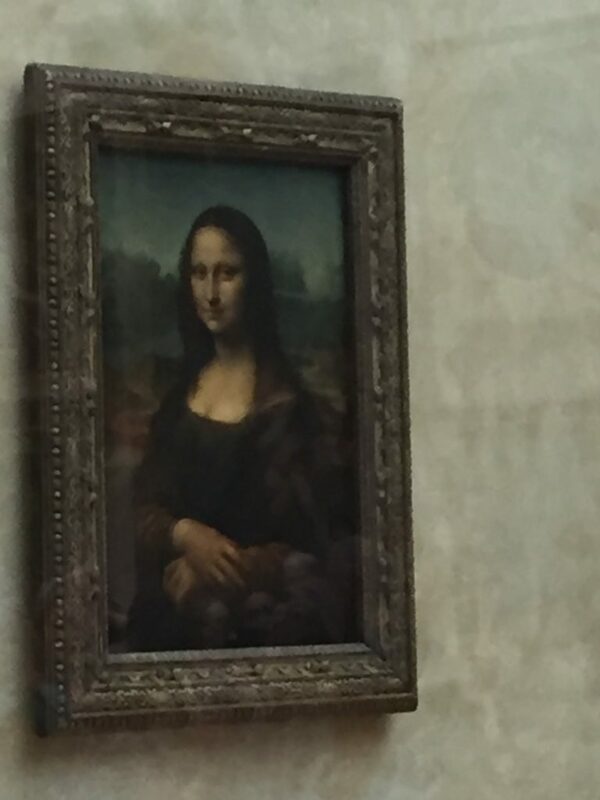 In the Louvre Museum is arguably the most famous painting in the world, Leonardo da Vinci’s Mona Lisa. (Its chief rival for that accolade might be The Last Supper, also by da Vinci, which is in Milan.) It is also famously small, measuring a mere 77 x 53 centimetres. In the opinion of many people it ranks with the Manneken Pis statue in Brussels and the Little Mermaid in Copenhagen as the owner of too huge a reputation for something that’s so tiny. 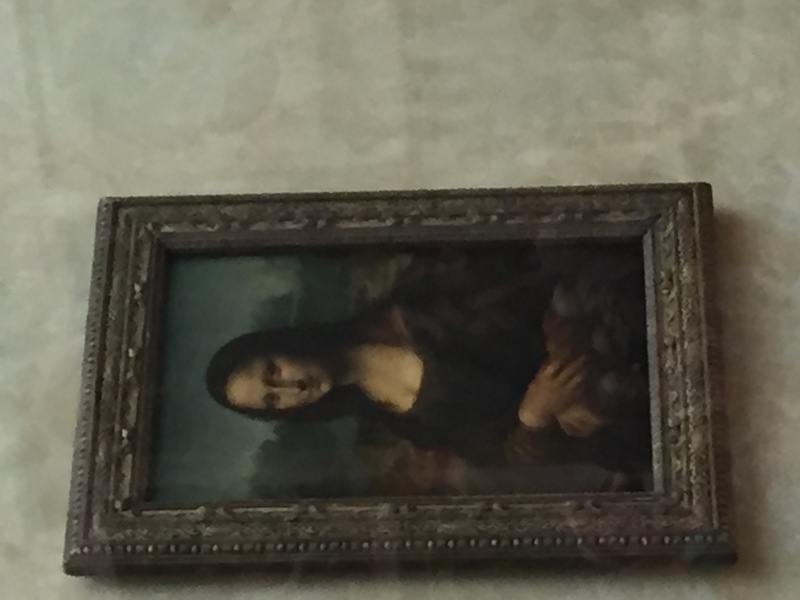 Maybe, but Mona is certainly a lady who draws the crowds. Size clearly isn’t everything. I don’t understand how this managed to happen…people were swarming everywhere but none in shot! 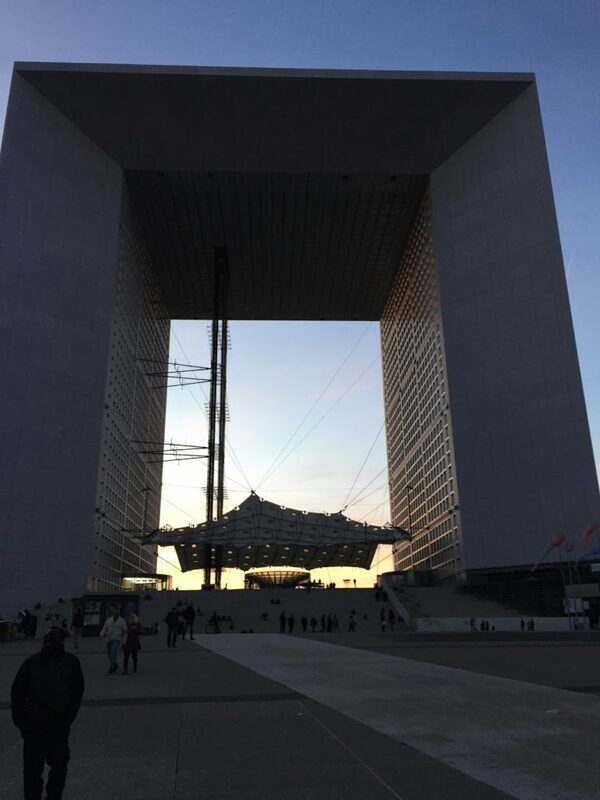 To the west of the city is La Defense – not quite such an old favourite; more the Parisian equivalent of Canary Wharf. But it epitomises one of the hallmarks of a great city. There is a relentless energy; an eternal evolution. The existence of Paris celebrates its glorious heritage and showcases its modernity. Like all major cities it has significant social issues that need addressing, some urgently, but just as (excuse this) Rome wasn’t built in a day, Paris’s problems can’t be resolved in a week. 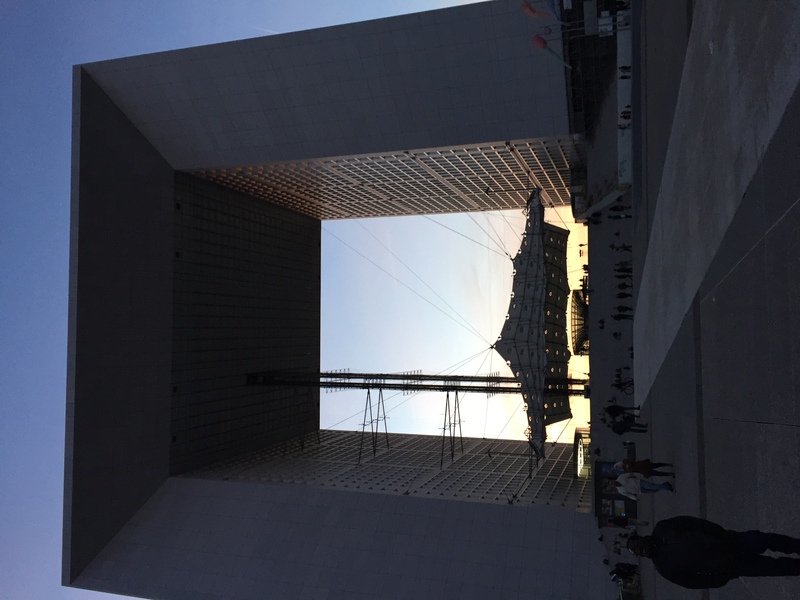 The main tower at La Defense at sunset – and, no, I cannot explain the presence of that hovering UFO! So that’s another trip to Paris over. A bientôt, j’espère.